Now that the hat is finished, I can start something new. 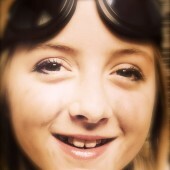 How about SteamPunk Goggles!?! Sounds cool huh? 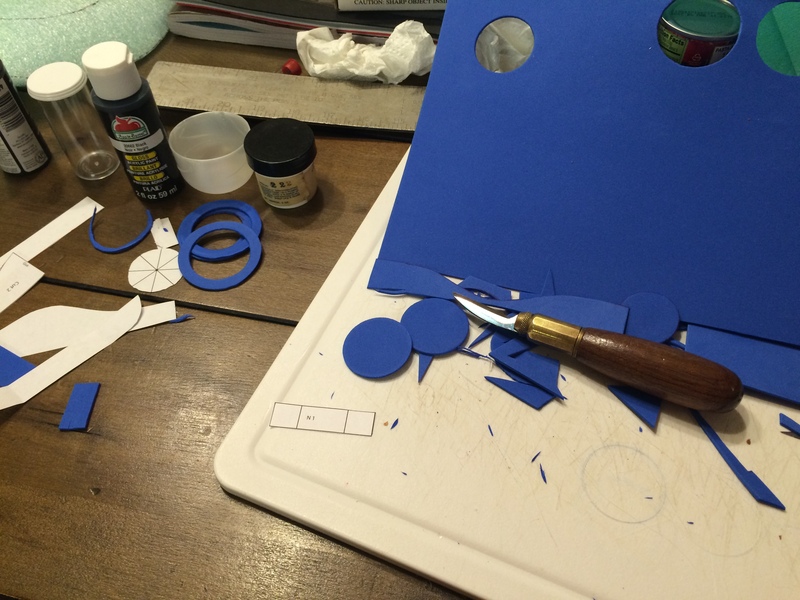 Well, I have started the process and so far my dad and I have tried to make a perfect circle (which, by the way is NOT easy). I can’t wait to share the process with y’all! I started to see my SteamPunk Top Hat look like a Top Hat and less like a multi-colored toy. I applied two coats of black paint to the foam and rivets and quickly it started to look like metal pieces that had been riveted to the hat. 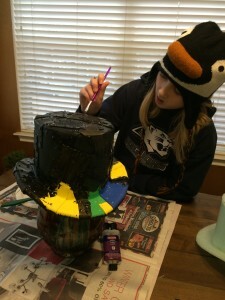 In the picture to the right you can see me painting my hat with black paint. It is really cold here in Texas right now, so I was wearing my penguin hat from SeaWorld. The penguin’s name is Benjamin. So my ears are warm, my hat is starting to look cool, and it is the first day of 2015. Did I mention that I stayed up until Midnight last night? Yes, I rang in the new year properly. 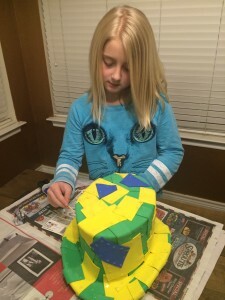 Just for fun, I’m making a steampunk top hat this holiday break and wanted to share it with YOU! 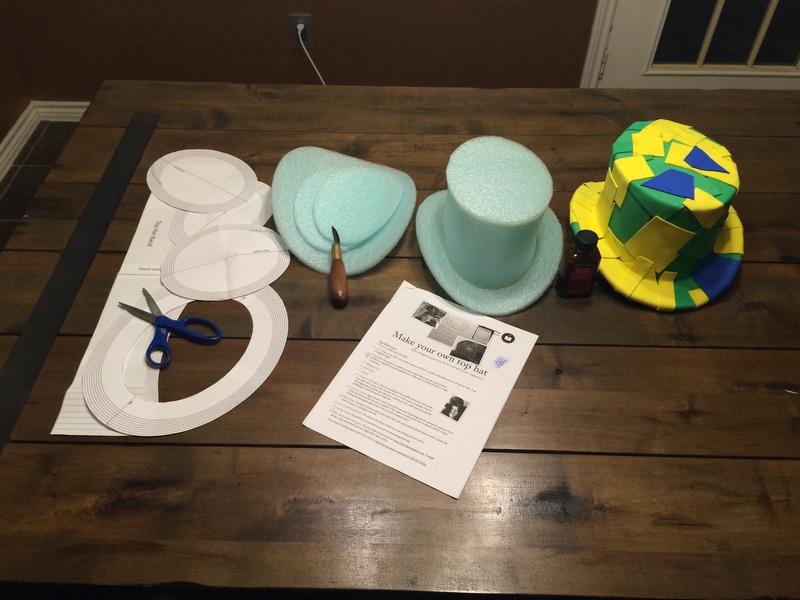 Here are the steps of the hat making. I’m not done yet so more steps and pictures will come again soon. Here is a picture of my project so far…. Next steps will have to wait until next time… I’m too tired to keep working on this tonight.